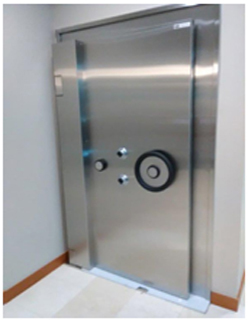 Cleaningfor Vault Doors, whether from water damage or just natural extended use, NBE will clean and polish your vault door to enhance your customers experience when they are completing a transaction. 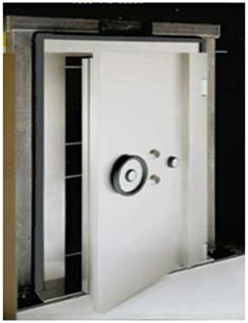 NBE can provide all services to a Custom Home Vault project. 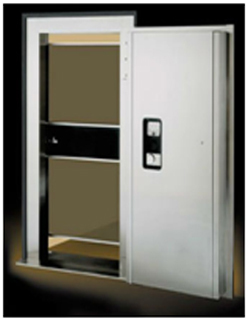 NBE is a proud provider of American Vault equipment. 100 Series Vault Doors are produced to exactstandards combining quality craftsmanship and advanced materials. This combination, along with our commitment to excellence, result in the premier security products available today. Every aspect of manufacturing vault panels are aimed towards satisfying the needs of our customers. 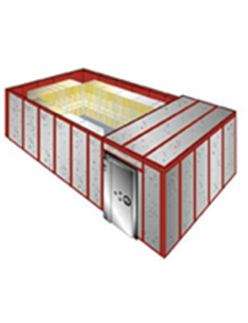 The ultra-high strength concrete core, along with the formed steel pan, provide high security construction and installation. The result is a very rugged vault panel that can meet very close dimensional tolerances.